What if there was a way for you to get your clients a two-fold investment solution that not only reduces their taxable income through a Section 12J deduction but also gives them exposure to an alternative asset class uncorrelated to their existing investments? Come towards the end of every tax year, clients are often looking for tax advantageous investment solutions and they come to you for answers. Now, with MeTTa capital, you can do one better and offer them a two-fold solution that gives them a 100% tax deduction on the value of their investment, reducing their taxable income significantly, along with bringing them a diversified long-term yielding investment into one of the fastest growing alternative investment classes in South Africa. The Section 12J space currently has garnered close to R3.6 billion from South African retail and institutional investors who have invested into over 100 VCCs. Wealth Managers / IFAs like yourselves are often lost as to which 12J Venture Capital fund to recommend to your clientele. 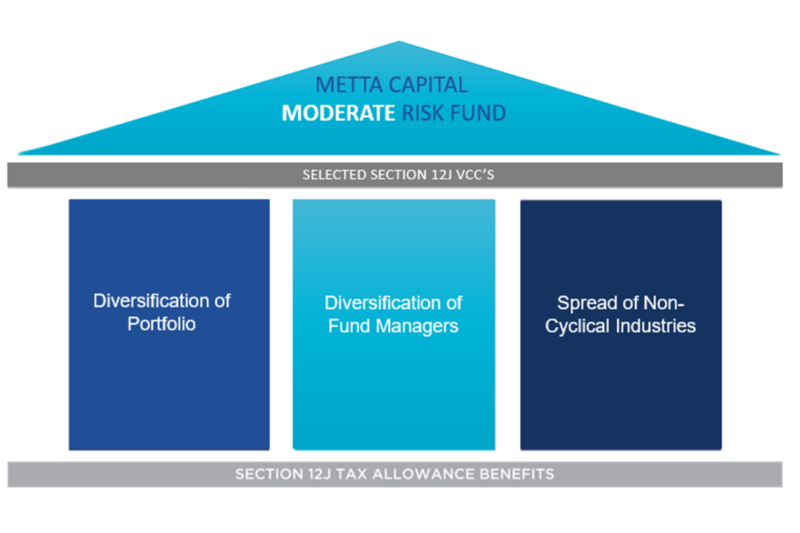 With MeTTa Capital and its experienced and expert Investment Committee, your advice risk becomes our advice risk as we take on the due diligence processes when formulating each of our Portfolio of Funds. We at MeTTa know that there is nothing more important to you than your clients and the trust your clients have in your ability to bring them only the highest quality investment opportunities. For a lot of IFAs / Wealth Managers, performing due diligences on all the VCCs in the space to determine which of these you feel comfortable recommending to your clients is just not possible. It is from this core problem that gave birth to MeTTa Capital. Obtaining List of SARS Approved VCC. Making Contact and performing a desktop due diligencce on all VCC's on the list. High Level Cash Flows and Project. Narrowing down to a possible 16 VCCs from approved list. Invitation to submit proposal directly to investment Comittee. MCP II in depth investment criteria test. Extensive financial, legal due diligence. Identification of existing Projects and Potential pipeline opportunities. Final Negotiation of all Investment terms and documentation of the selected VCCs. Investment Commitee selection of the % allocation within the MCP II portfolio. Board proposal of the 8 VCC's selected and % allocations proposed. Finalisation of MCP II prospectus. Issue of the MCP II prospectus.